More than 60 queer and trans liberation organizations, from nearly 20 countries across Europe and beyond, are calling on global LGBTQIA communities to boycott the 2019 Eurovision Song Contest in Israel. The signatories include Palestinian collectives al-Qaws for Sexual and Gender Diversity in Palestinian Society, Pinkwatching Israel and Aswat- Palestinian Feminist Center for Sexual and Gender Freedoms, the National LGBT Committee for UNISON, one of the UK’s largest trade unions, ACT UP groups in France and the UK, the Panteras Rosa in Portugal, more than 20 queer and trans groups in the Spanish State and Italy, the Gay Liberation Network, the Methodist Federation for Social Action and Jewish Voice for Peace New York City Queer Caucus in the US. As Palestinian queers, we are heartened by the increasing numbers of LGBTQIA communities taking a stand against Israel’s pinkwashing agenda in a true show of effective solidarity. 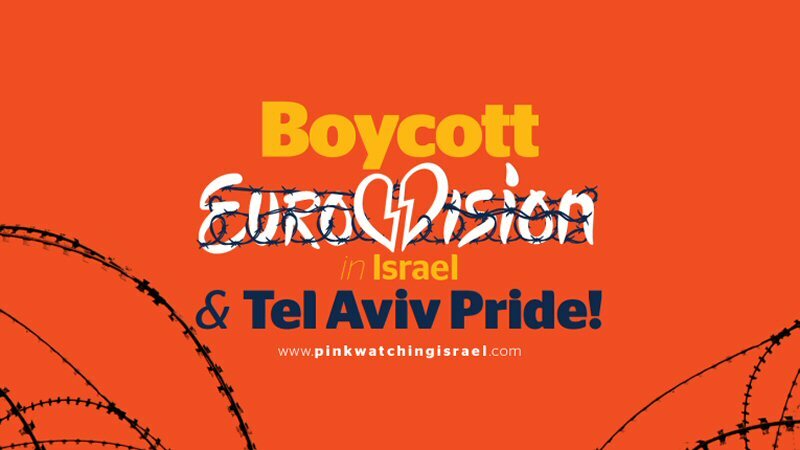 Joining and promoting the call to boycott Eurovision 2019 in Israel and Tel Aviv Pride help expose the Israeli government’s reprehensible co-opting of queer rights as a public relations tool to hide its crimes against Palestinians. They strike a blow to its shameful pinkwashing strategy to maintain its apartheid regime and its decades-old colonization and occupation of Palestine.